Comments The third day of the Navratri celebrates the form of Goddess Durga known as Mother Chandraghanta. Chandraghanta is a goddess who represents a hard to achieve balance of energies. She is a goddess who is valiant and battle- ready but radiates a beauty simply splendorous! Prasaadam tanute mahyam chandraghanteti vishruta !! The goddess Chandraghanta derives her name as she has a crescent moon (Chandra) shaped bell adorning her forehead. Aside of being an ornament, the sound of this bell (ghanta) is believed to fill the evil creatures with dread, as she readies herself and advances to vanquish them. Goddess Chandraghanta is depicted as a radiant beauty with golden aura. 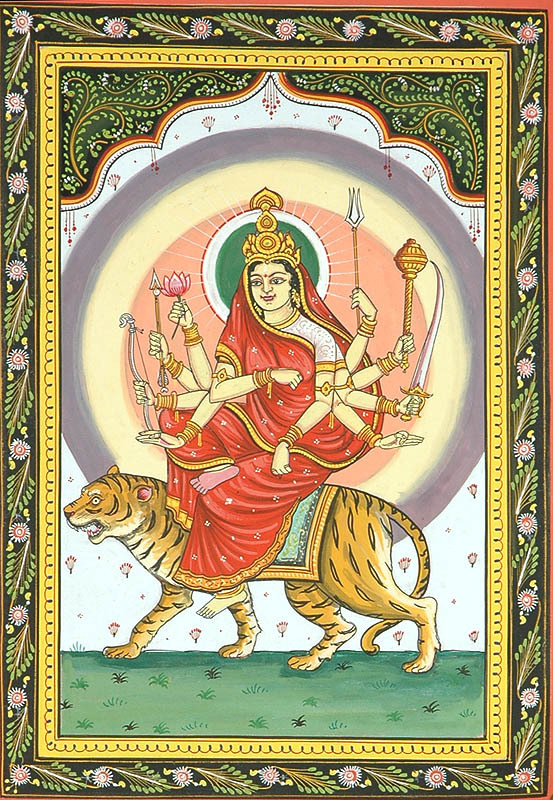 She is shown having ten arms and three eyes, riding a lion who symbolizes upholding of ‘dharma’ with a fierce passion. Out of her ten hands, she holds different weapons in eight, one hand is in the abhaya mudra and the other one is wish granting, boon giving pose. 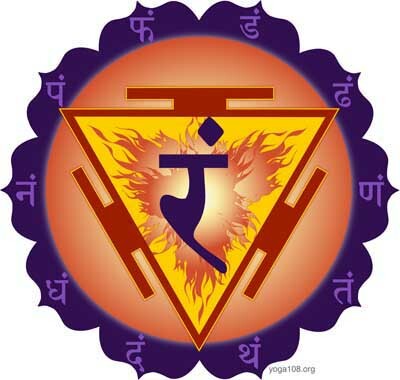 This is the day when the meditation is centred on the Manipur Chakra or the Solar plexus. Manipur literally means the “city of gems”. In this meditation, you have the potential to discover the richness inherent within your being. The core of the chakra is a fiery triangle contained within the centre if a dashdalpadma or the 10 petalled lotus with dark blue petals. The gem among the navratnas associated with Mother Chandraghanta is Hessonite – The gem of a planet that has everything to do with worldly desires. Featured today is a natural and treatment free hessonite of 4.71 carats set in sterling silver as a Rahu talisman pendant. The oval shaped natural hessonite from Srilanka has a rich deep-burnt cinnamon orange color. The clarity and luster are extraordinary and set a wonderful tone for the gem. 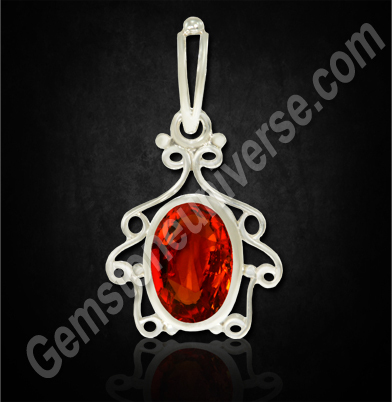 Natural hessonite also known as gomedh or gomedhaka is the gemstone of planet Rahu or the North Node of the Moon. 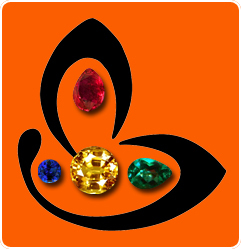 The gemstone of Rahu should be worn after getting a proper gem recommendation. Although if suitable for an individual, this gem should be worn in the planetary period of Rahu only, exception is made in case Rahu is in the lagna or the ascendant and the gem is worn life long.